With their initial build not going to plan, the travelling Physicians turned to Tiny House Chattanooga for help. Mike Bedsole quickly identified the need to get a new structural solution resolved to allow Sheena and Mike to continue on their self-building journey. A Volstrukt partner, Tiny House Chattanooga worked with Volstrukt to custom design a lightweight steel frame, coordinated with a locally sourced trailer, to get the build back on track. The fully off-grid house, also home to the couple's dogs Malli and Harvey, has travelled over 20,000 miles in the last year and a half, collected a clutch of industry awards and been profiled on Tiny House Podcast and RelaxShacks.com. This latest award highlights a fast growing trend in the evolving tiny house movement, where DIY builders are recognizing not only the benefits of properly engineered, lightweight strucural solution based on cold form steel, but the opportunity to work with a local builder to supply a trailer + frame + sheathing kit to get to better quality starting point, faster. 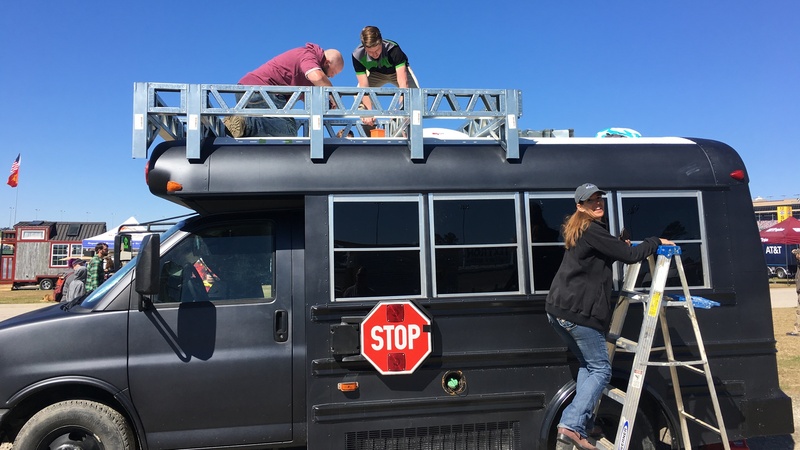 Sheena and Ross have embraced living tiny so much, that have started work on a converting an 18' school bus into a camper to take them around Alaska. 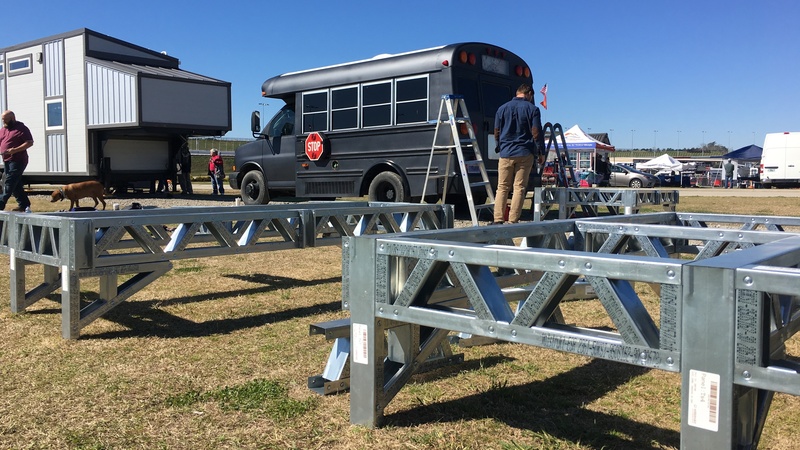 Volstrukt was asked to custom design a lightweight steel deck for the project, which was installed as a live build at the Georgia Festival last week. Check out our brand new Volstrukt steel frame SKOOLIE ROOF DECK!! How cool is that?! These guys are so great to work with and their creations go beyond my imagination. 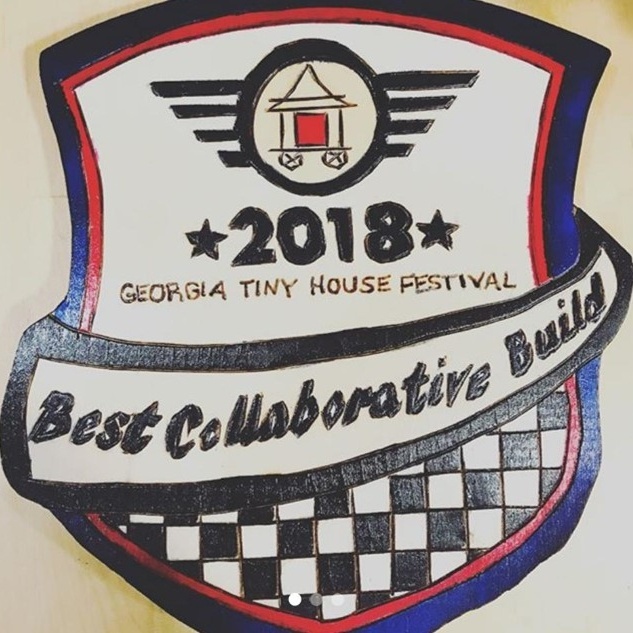 They did a great job with the live build at the Georgia Tiny House Festival. For more information on this story, or how to partner with Volstrukt, please get in touch.